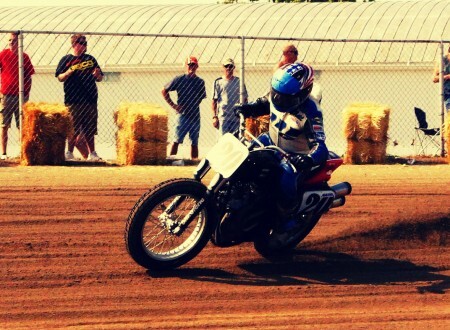 Flat track racing is one of the most tirelessly cool Sunday activities I’ve ever encountered. 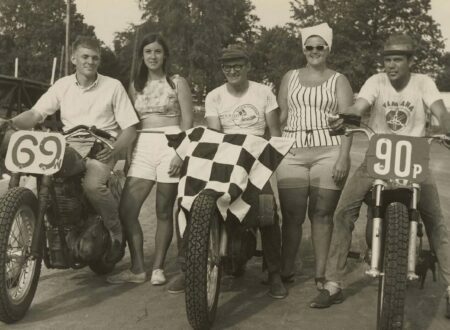 It’s wonderful the way vintage photographs like this can capture a moment so perfectly it almost feels like you’re there. 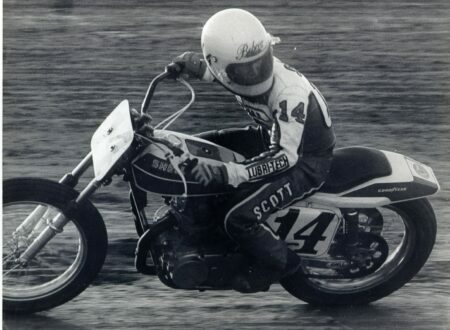 Hank Scott was a huge part of the flat track racing scene right throughout the 1970’s, he started racing in 1973 and within one season had racked up 27 wins, the Harley-Davidson Team noticed him and signed him on for the next year. 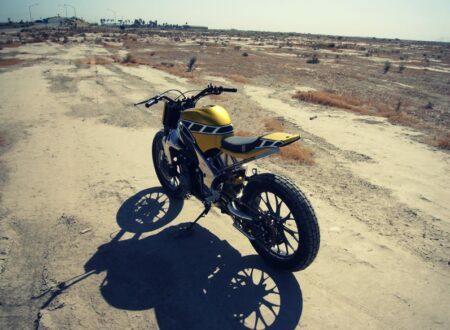 This bike started life as a 2009 factory spec Yamaha R1 before being picked up by the team at Gregg’s Customs and pulled to bits. 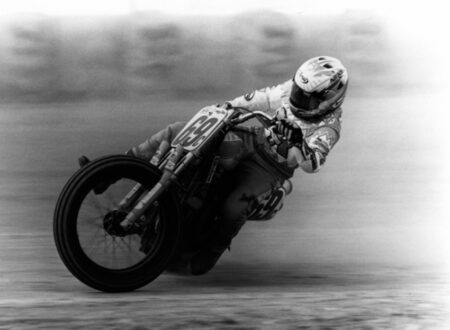 The rear subframe was tossed as were all the plastic fairings and the original swingarm. 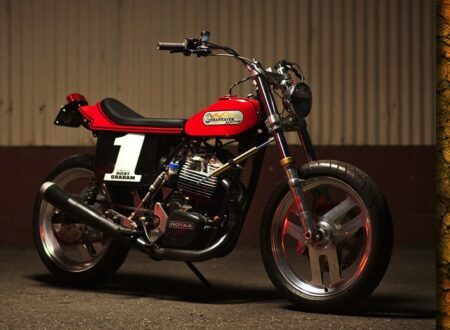 The Kawasaki W650 is one of the best modern foundations for a flat track style motorcycle, the engine is staggeringly reliable, the frame is solid, the stock suspension can take a beating and it can be turned into a flat tracker with relatively minimal effort. 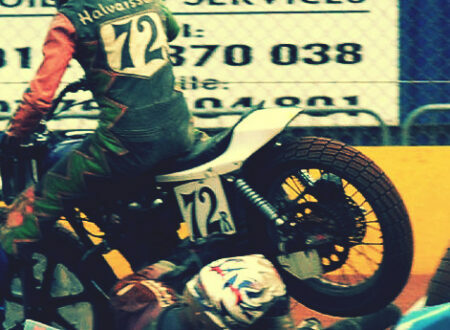 It amazes me that some people are this cool without even trying. 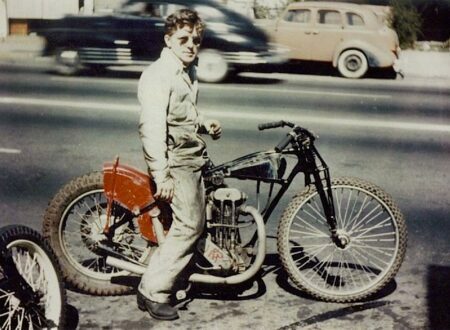 After spending some time looking over the photograph above I’ve hypothesised that that’s a 1940’s or 1950’s JAP based flat tracker, I’ve also decided that I want one. 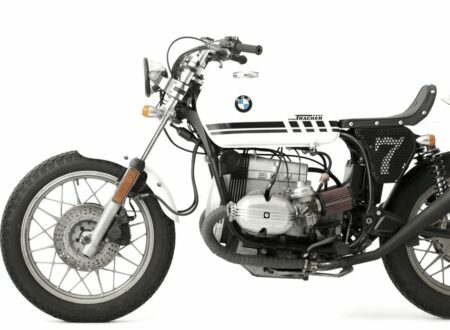 I have a deep love and long standing respect for BMW motorcycles. 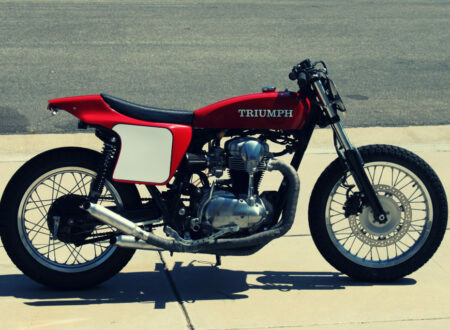 I’ve never actually owned one, but I’ll get around to picking one up someday. In the meantime, I’ll make do with ogling other people’s Beemers. 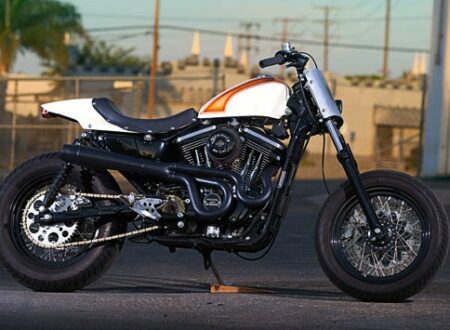 The custom Sportster is one of those types of motorcycles that can really go either way. I’ve seen beautiful examples and I’ve seen garish and raked out hack jobs that’ve made me want to set them alight, just to put them out of their misery. 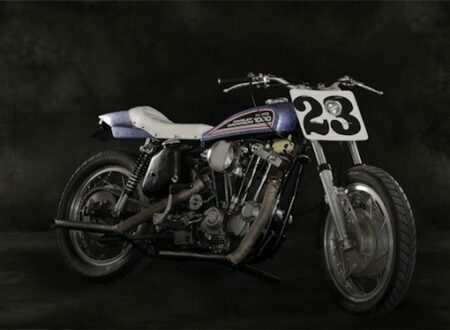 Anyone who’s been reading Silodrome for a while will know of my undying passion for flat tracker motorcycles, the guys at Co-Built Motorcycles have taken their own passion for the bikes to its inevitable conclusion, they build their own. And then they race them.